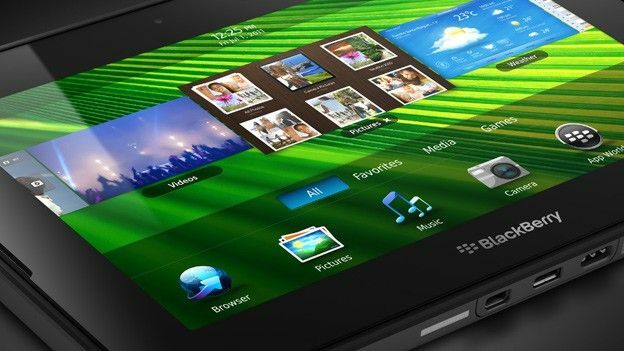 RIM has detailed the new BlackBerry PlayBook OS 2.0 which will finally bring Android app compatibility and native contacts and email clients. THe new software is likely to be rolled out next month. The PlayBook was one of the most talked-about gadgets of last year's CES, but has failed miserably to catch-on with gadget fans. RIM hopes that bringing the capacity for some Android apps to work on the device will breathe life into its own thread-bare App World offering. The Android app player will bring massively popular games like Cut The Rope and Plants vs Zombies to the PlayBook, which won't require a separate player to run them. PlayBook users will, by no means, get the full Android Market experience as developers have to use a software package to make their Android apps compatible with the RIM tablet, while they'll also be scrutinised by RIM before appearing on the store. BlackBerry PlayBook OS 2.0 will also bring a native email and contacts app to the device, rectifying another perceived ill. The contacts app will feature social integration, allowing users to see a contact's Twitter, Facebook and LinkedIn information. However, RIM has still not confirmed exactly when PlayBook owners will be able to download the new OS. It is expected to land sometime next month, but for now, the wait goes on.